Customer co-creation has become an integral part of the innovation management of companies. As part of the innovation process customers are directly involved in the product development, in the development of service innovations or digital business models. 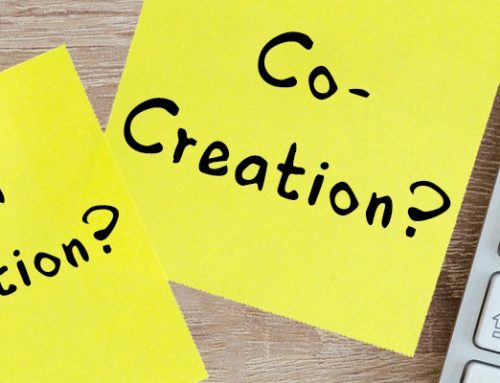 Customer co-creation is a special form of Open Innovation and Co-creation – i.e. the opening of the innovation process. In this article you will learn about success factors for the implementation of customer co-creation projects. 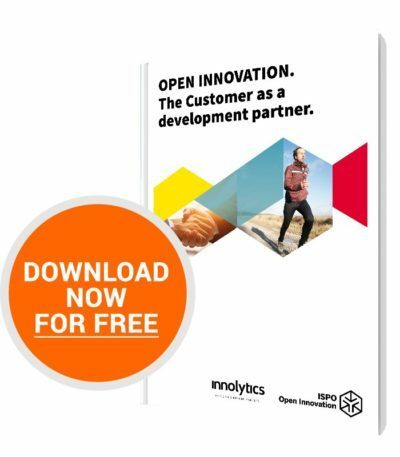 In our free whitepaper “Customer as a development partner” you will learn how customer co-creation projects succeed by examining practical examples. You will learn what motivates customers to develop ideas and concepts for companies. Customer co-creation – as a part of an innovation strategy – can be used at different stages of an innovation process. In the early phase (the so-called “fuzzy front end of innovation”): customers openly talk about their difficulties with existing products, their challenges and provide inspiration for the development of ideas. Here there are overlaps between Open Innovation and market research. Idea generation: Customers contribute ideas for the improvement of existing products and services, but also for new offers and services. Idea competitions and innovation workshops with customers are suitable for this. Development of prototypes: Customer co-creation involves customers into the development and testing of prototypical products or offers. Through rapid feedback, companies learn more quickly which elements of new products, service innovation or digital business models are important for customers. Market launch: Customers give feedback on how they use products in everyday life or how they use offers from companies. They make concrete suggestions for optimization. Customer co-creation projects are supported by state-of-the-art innovation software. The Innolytics® software offers the possibility to involve customers directly in the development of new products and offers. They comment and evaluate ideas and make their own suggestions. S-Bahn Mitteldeutschland: The public transportation company invited passengers to make suggestions for improving quality and communication. In the almost six-week customer Co-creation campaign, more than one hundred ideas for innovative services were developed. Dalbello: The ski boot manufacturer Dalbello tested the new generation of ski boots on the ISPO Open Innovation Platform operated by Innolytics GmbH and ISPO Munich. As part of the market launch, consumers were provided with ski boots, and through ideas and comments the company gained insights into the acceptance of the new product. Mainova solar competition: The energy company carried out Open Innovation in the energy industry with a customer co-creation project. The results of these projects: Customer co-creation is particularly successful in areas where customers can contribute their personal experience with products and services. Examples are the development of new services, the optimization of products or the development of new ideas for each area of the value chain. Allow your customers to express their complaints in a positive way. Especially in the early stages of the innovation process, inspirations gained through customer co-creation are often simply the positive version of customer complaints. Encourage customers to submit their feedback in the form of ideas. Design incentives in an imaginative way. Customer co-creation projects do not require high investments in awards and incentives. The motivation of customers to participate in innovation projects of this kind is often intrinsic. This means that customers themselves are interested in products and services becoming better. They also express their special relationship with a company. Strengthen this relationship with special incentives: e.g. events, personal meetings with the management, a special status when dealing with future customer enquiries. Make customers an integral part of your innovation network: ask the same customers for advice more often or invite them to customer co-creation projects. Similar to you and your product management or innovation management, customers also learn through regular processes. Your ideas and suggestions will gradually become more mature. Customer co-creation is a valuable part of customer-oriented innovation management. Start with a simple question that you ask a group of selected customers. Ask for concrete ideas to improve a particular offer. With the help of the Innolytics® Innovation software the implementation of such projects is easy. You can invite customers to a platform. You can ask concrete questions, ask them to generate ideas or have customers comment on existing ideas. Gain your first experience through concrete projects! Gain new ideas from the customer’s point of view and increase the speed of your innovation process through customer co-creation.